Defense Minister promises government will recognize Samaria outpost in which terror victim Rabbi Shevach lived. Defense Minister Avigdor Liberman (Yisrael Liberman) at a party meeting Monday expressed optimism that the Knesset will agree to grant retroactive recognition to the outpost community of Havat Gilad in Samaria. Havat Gilad (Gilad's farm) was founded 15 years ago, on land legally purchased and privately owned by Moshe Zar, and named for his son Gilad, killed by terrorists, but did not obtain official Interior Ministry recognition as a Judea and Samaria community and therefore the government does not invest in its infrastructure. "I hope that [next] Sunday, the Israeli government will approve Havat Gilad, and we will be able to continue the legal process required to make it a legal and recognized town," Liberman said. On Sunday, Netanyahu said that that the delay in raising the issue of Havat Gilad is the result of "tactical reasons," and that the issue will be brought up at next week’s meeting, in conjunction Defense Minister Liberman, who has formulated a proposal to normalize the community. Liberman rebuffed criticism regarding the delays to legislation intended to legalize Havat Gilad, adding that the issue will addressed next week. The Defense Minister also discussed security on Israel's northern border, including the possibility of another conflict with the Hezbollah terror group in Lebanon. 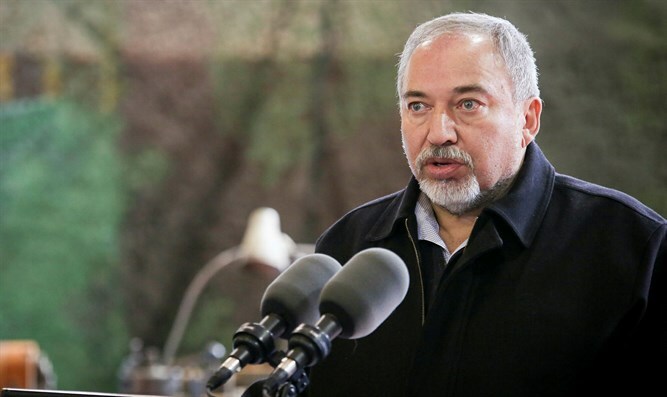 Regarding the IDF's recent statement that Lebanon has become an 'Iranian missile factory', Liberman said, "We don't want a third Lebanon War, but on the other hand, we are determined to prevent Lebanon from becoming one large missile factory." Meanwhile, Lebanese MP and Hezbollah member Haj Muhammad Raed slammed IDF Spokesman Ronen Manelis' article warning Lebanon of the Iranian takeover. In an article on the Lebanese blog Al-Hewar Al-Motamaden, Raed wrote, "The article is a kind of nonsense and provocation that is published only by someone who is a coward." "Israel must not do a stupid thing and complicate itself in a war that will be destructive for it. Hezbollah is stronger today and has capabilities of destroying the Israeli army. "Israel has become isolated regionally and internationally, and the media spins that come out of it are meant to cover up her distress, because she wants to present herself as strong."